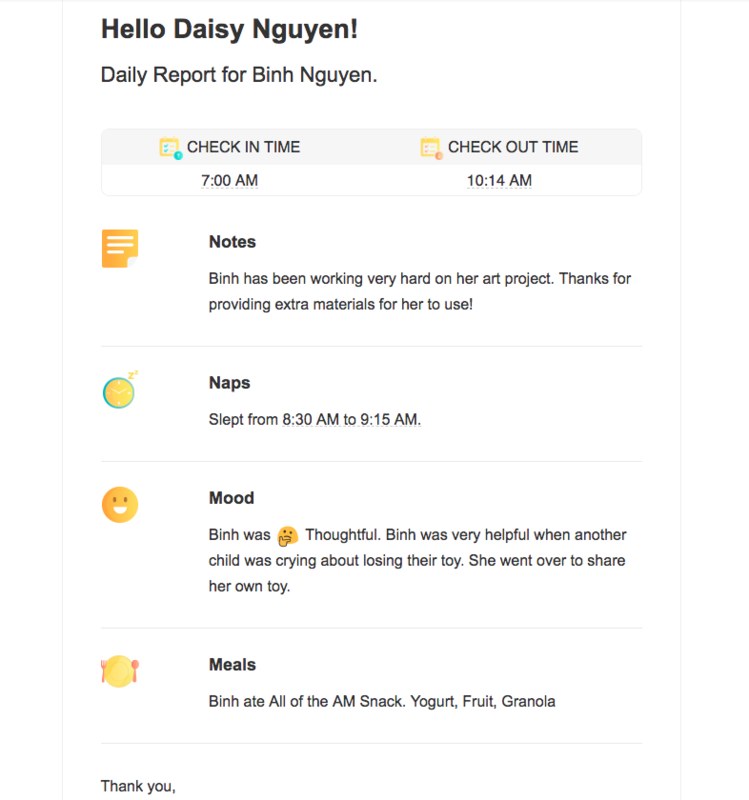 While parents and staff are able to see all of the activities recorded throughout the day by logging into the app or website, it can be helpful to have a quick summary via email of a child's daily activities in one place. That's where our Daily Summary Report comes in. Here is an example of what you will see. Activities will be grouped by type, then arranged by the time they were recorded. 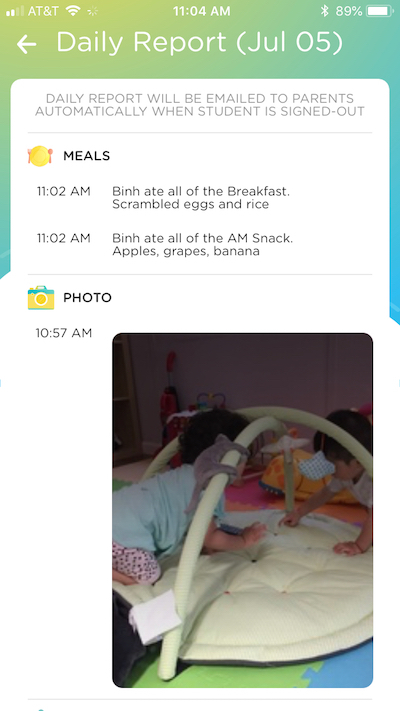 The daily summary report is automatically sent out to the parents' emails whenever a child is signed out from the Kinderlime app. The child's parent uses the Parent Kiosk to sign out their child during pick-up at the end of the day. A staff member signs out the child at the end of the day using the Attendance feature. Note: For cases where a child is picked up by the parent, then dropped off again and picked up later the same day, the parent will receive a daily summary report each time the child is signed out. 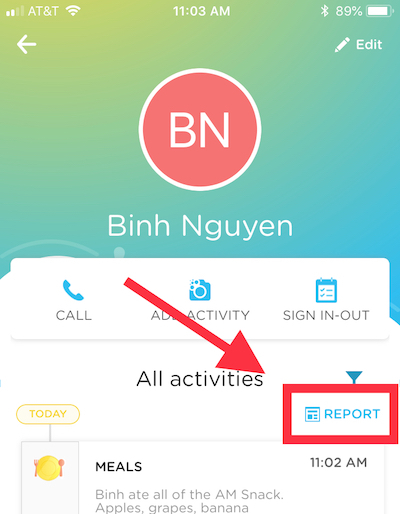 However, the second/final email will include ALL of the activities for the day, and so can be treated as the true daily summary report for that day.